MOTs in Cadnam, Southampton are a legal requirement. Every year, cars over three years old need to have a check to make sure they are roadworthy and meet the environmental standards set by the government. Without this test, your vehicle insurance will become invalid as your car may not be safe to be on the road. Cadnam Garage Services offer an affordable MOT test to check your vehicle. If for any reason your vehicle fails its’ test, we can accurately estimate the cost of repairs to get your vehicle back on the road in a roadworthy condition. Pass with PRS – Any small remedial works, i.e. bulb replacement, can be carried out under the PRS guidelines (Pass with Rectification at Station) to ensure the vehicle is passed with minimal disruption and inconvenience to the driver/vehicle owner. There will be an additional charge for time taken as well as the cost of the part, i.e. the light bulb. Failure – Items which are dangerous/outside the guidelines set by the DVSA, and will take a significant amount of time to repair (and do not fall within PRS). We can provide an estimate for the repairs, for which authorisation will be required prior to the work being carried out on your vehicle. Once the work has been carried out, the vehicle will be retested to ensure the repairs meet the standards and guidelines set by the DVSA. 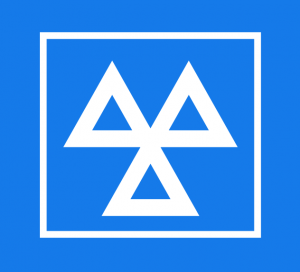 Advisory – items will appear on the issued MOT Certificate, being for replacement or repairs which we can foresee may be required in the future, but do not fail at the time the vehicle is presented for its’ test. We will offer advice further to discussing with you the items detailed, and agree on an action plan to rectify the items at a time convenient to you. We always try and encourage our customers to be pro-active rather than reactive with their vehicle maintenance. We are a Driver Vehicle Standards Agency approved class 4 MOT centre offering while-you-wait MOT appointments daily between Monday and Saturday. Our first appointment Monday to Friday is at 8am and the last is at 4pm. Prices start from as little as £21.95 if booked with a full service. What if My Vehicle Fail the MOT Test? Everybody wants their vehicle to pass the annual MOT test with flying colours but sadly, this isn’t always the case. When a failure occurs, we believe that you have the right to a clear explanation of why your vehicle has failed and what needs to be done to put it right. We’ll show you the problems and explain the requirements to pass. On occasions, we also issue a notice of advisory repairs and will be happy to talk you through them to understand the implications and ideal timeframe to have any work carried out. Choose Cadnam Garage Services for your MOTs in Cadnam, Southampton. We have qualified technicians from both independent and main dealer backgrounds working on the vehicles in our care. We make sure you understand all the work that has been carried out on your vehicle. We will help you manage your vehicle maintenance by advising you of any repairs that are needed in the foreseeable future.